‘As public perceptions of the First World War have petrified around images of futile slaughter in the mud as the clergy led the cheering, so an image has been reinforced of the Church of England as merely an arm of government public relations; part of the Establishment deployed to defend the indefensible. Yet this theme is dissonant with trendy vicars marching against the war in Vietnam or to ban the Bomb, and Robert Runcie’s conspicuous failure to celebrate victory in the Falklands with sufficient enthusiasm to please Prime Minister Thatcher. 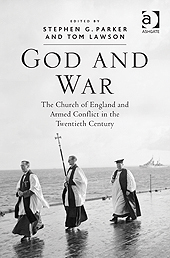 And so there is a job of historical work to do, to understand the relationship between the established church in England, successive governments and the armed conflicts into which the British have been drawn. ‘The idea of an established church, or of a national church, held always within it a tension between aspects of the role. It was a bolster of morale, and part of a united public face against an external enemy, but also a critic of armed interventions that were harder to justify, and referee of the debate that decided which wars were just and which were not. And the balance of these forces within the church also shifted over time, as the centre of ideological gravity within the church shifted leftwards, particularly after 1945. The collection goes a long way towards a fresh consideration of the issues, and neatly illustrates the tensions between these two aspects of the Church’s role. ‘For Dianne Kirby, the predominant note in the relationship of the church and the government during the Cold War is one of subservience. Governments expected practical co-operation in the positioning and re-positioning of the UK in relation to powers of east and west, and by and large that co-operation was forthcoming, even if it came with misgivings. In contrast, in perhaps the outstanding contribution, Matthew Grimley adroitly delineates the significance of Anglican opposition to nuclear weapons, bringing out the constant negotiation within the Church of England between its established and prophetic selves. Some of the other essays are less successful, being ‘muddily written, poorly structured and based on a thin layer of source material, and would have benefited from a firmer editorial hand.’ In some cases, I had the sense that some contributors had ‘only a limited acquaintance with the Church of England itself. The view is often that from outside, which leads to an over-reliance on voices in the press.’ Lawson and Parker as editors were also badly let down by their copy-editors, with typographical and factual errors in several places. I have remarked on this apparent slipping in copy-editing standards in reviews here and here, and it seems to be becoming a trend. Despite these gripes, as a whole the volume is essential reading; and I’ve already had cause to cite several essays while revising my text on Michael Ramsey. 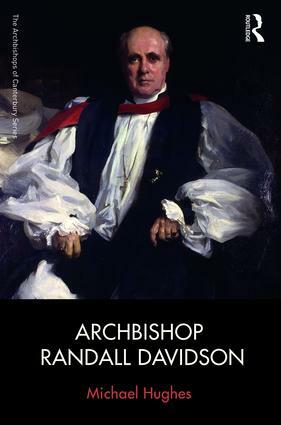 The book has three primary concerns: with Lang’s relationship with the monarchy; with the disputed process of liturgical reform within the Church of England; and with the Second World War. Chapter 7 deals with the war; Chapter 6 with the stalemate in relation to liturgical revision that Lang inherited after the Prayer Book Crisis of 1927-8. Chapters 4 and 5 deal with Lang’s relationship with the monarchy in general, and the abdication crisis in particular, and are very clearly the centrepiece of the book. Beaken rightly emphasises that in the period between the wars the office of archbishop still mattered in English public life. The opinion of Canterbury was sought and listened to on matters of moment; and the archbishop’s correspondence clearly shows that many of the general public expected something of ‘their archbishop’, even if those expectations were inchoately expressed and neither compatible nor realistic. All this is right, and worth emphasising; but it is difficult to recognise the ‘simple narrative of secularisation’ against which Beaken sets himself as one now held by very many historians. The work variously of Callum Brown, Grace Davie, Hugh McLeod and many others have all deepened and complicated our understandings of what secularisation is and how it occurs; and so Beaken is pushing at, if not an open door, one which has been unlocked and left ajar. For Beaken, Lang’s radio broadcast of December 1936 […] was ‘an unusually unwise and unreflective action’, in that Lang allowed himself to reflect unfavourably on the mores of the social circle around the former king. However, the receipt of many letters and a ‘torrent of abuse’ in the popular press does not necessarily prove that an archbishop is not doing his job, but only that he has expressed an unpopular but arguably necessary view. Despite Lang’s evident enjoyment of the quiet entwining of archbishop and establishment, he was able to see where lines should be drawn. By contrast, significant space is instead given over to a discussion of Lang’s sexuality. Beaken is largely successful in showing that Lang was probably not a repressed homosexual, but a lonely figure who found it difficult to form close personal relationships of any kind. To this reviewer, however, it is not clear that those making the case for Lang’s homosexuality ever established why the matter should be all that important, and neither is Beaken convincing as to why it is important that Lang was not. Robert’s response is at the foot of the review.